Review: The Drizzler, a retro classic reimagined by Harry Stedman - Well Dressed Dad - It is a proper menswear blog. Like, with original words and opinions and suchlike. 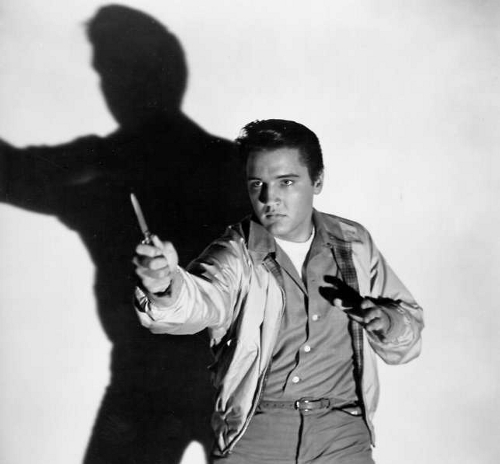 The blouson jacket style is one of the true classics of menswear. Also commonly known as the Harrington or the Drizzler, there is some agreement that it dates right back to 1937, when Barracuta launched their G-9 style. A simple, boxy jacket with a shower-proof cotton outer and a tartan cotton lining. A stand-up collar, knitted cuffs, angled front pockets, and that’s about it. It’s one of those styles that keep bobbing up in fashion though. Firstly in the 1950’s US teen culture, then as a mod and skinhead style in the 70’s. Heck, I remember being desperate for one when I was a kid, and I wasn’t anywhere near being a member of a cool gang. Lately it’s a style favoured by US presidents, which you’d think would leave it as popular as a floater, but seemingly not! Since it’s inception the style has lived a life of it’s own, as is the case with many of the true standards in menswear. This also means that there are many variants available, either as straight copies of the originals, or as more or less remixed variants. As long as we have two arms, a next and a torso there are only so many basic shapes a jacket can take! This means it’s down to the details. I’ve previously had a look at the Harry Stedman lookbook for this season (look here) and liked their interpretations of iconic menswear. Not content to dish up their versions of the deck jacket, the pea coat, the varsity jacket and the classic mac, they also do their blouson variant, named the Drizzler. It’s available in 4 different finishes, all variations of a waxed theme. I went for the “milled wax finish”, a variant that has a light waxed finish. In fact the outer fabric is by Halley Stevensons in Dundee, Scotland, which bodes well for the quality. I was pleasantly surprised when unwrapping the jacket to find that it felt soft almost like suede. It looks more ruggedly canvas-like though. The Harry Stedman take on the blouson takes the knitted cuff and colour out of the design. 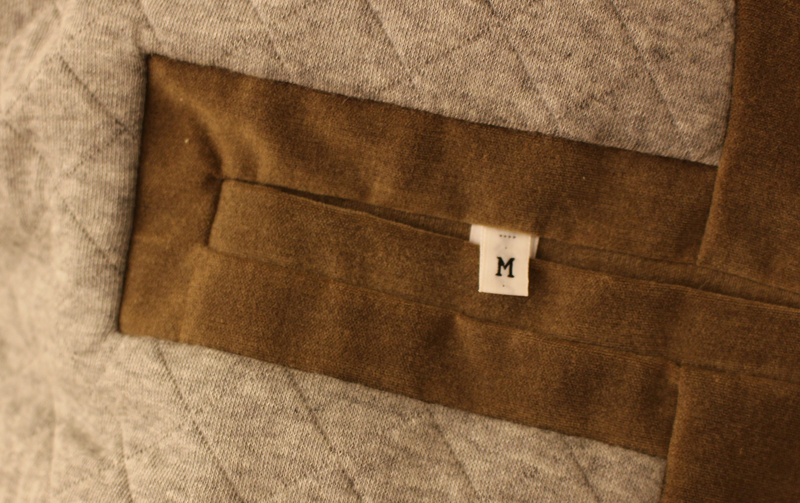 The cuffs have a single button that can be undone, presumably if you want to roll up the cuff. The collar is a traditional style, with a throat latch to keep things tight. The boxy fit is entirely as it should be, but includes adjusters on the side, so you can take it in a notch for a slimmer fit. Pocket-wise the traditional slanted pockets are in place, with a buttoned flap. 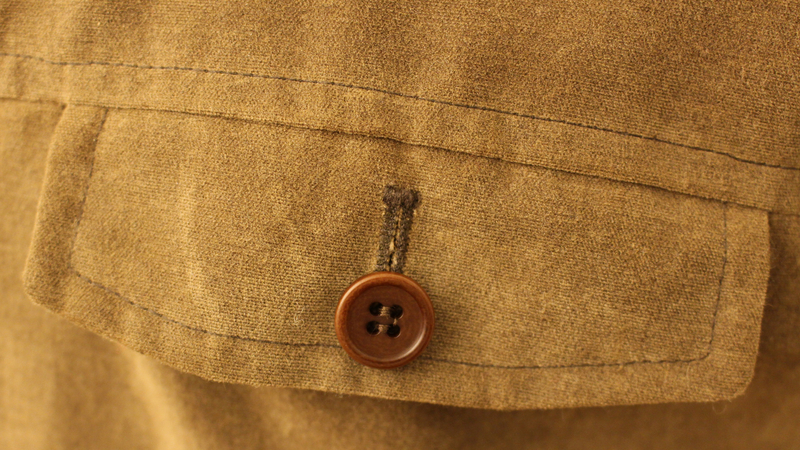 As a bonus there is also a handy chest pocket, also with a buttoned flap. 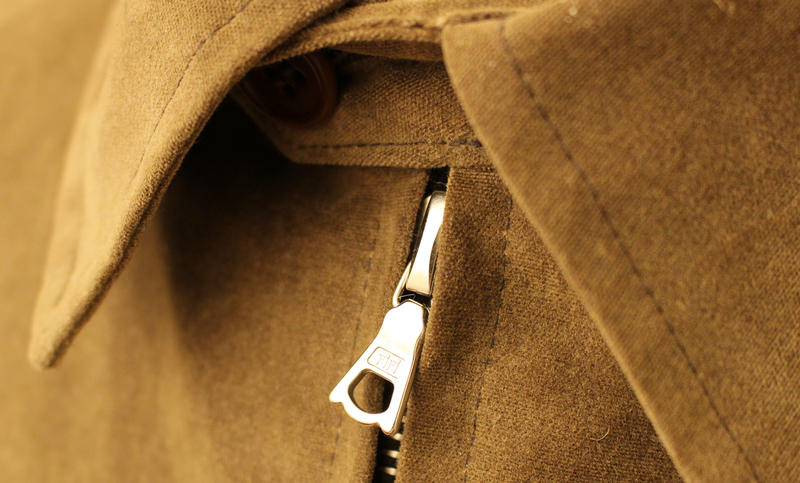 There is also a single pocket inside. The inside is lined with a quilted jersey material, which provides a modicum of insulation and gives the jacket a little more heft. The front zipper is a Riri, a quality brand that should last a while. 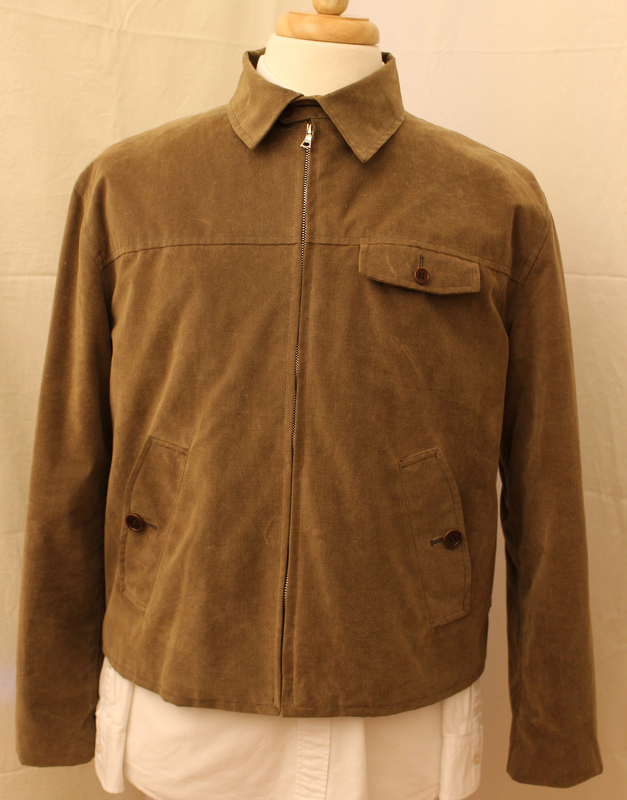 And quality is really the word that sums up this jacket. The design is simple and restrained, and the materials used are all top shelf. 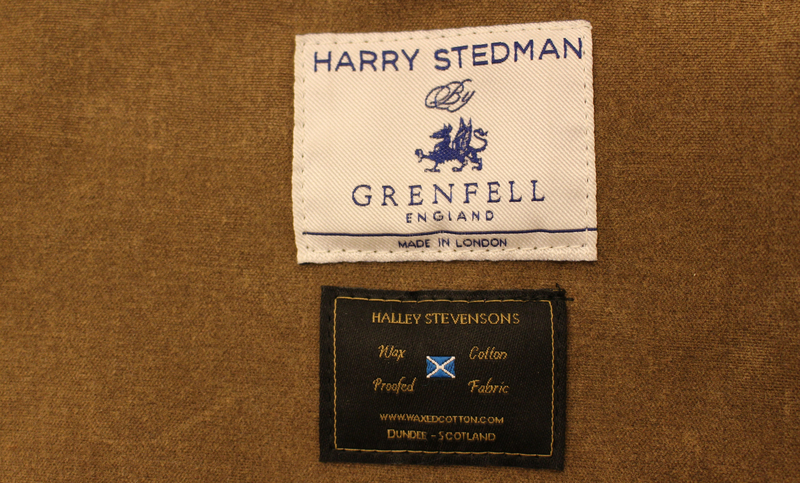 Harry Stedman commission Grenfell of London to produce their jackets for them, which means there are no issues in that respect either. All in all, quality. 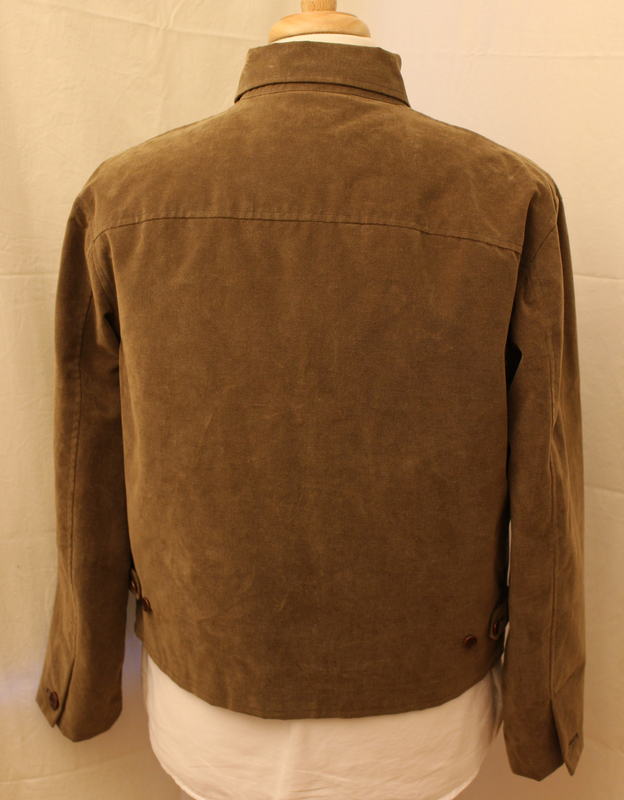 Fit-wise, a shorter jacket like this greatly favours the chap on below average height. Most jackets will be made based on a man around 6 foot tall, so for those of use that are just a wee touch less, jackets can be a bit longer than desired, both in back and arms. A short jacket like this makes us look a bit taller. A new backpack – my Trakke Arkaig! would we say this is more of a heavy winter jacket a opposed to a lighter windbreaker such as the G9 or Grenfell Golfer? Not heavy winter, though indeed lined with a thin quilted lining, so not a pure lightweight! Good info cheers, I’ve got a Grenfell contemporary golfer coming in today, wanted to try and find a shirt collar Y3 style jacket to go with it, but finding a quality western/japanese made plain, slim fit, shirt collar lightweight windbreaker seems to be an impossible task at any price. Guess i’ll just have to wait and see what comes in next spring/summer. Until then, time to start looking at winter coats.